When is the last time you admired the sky? Sitting or laying in the grass watching the clouds go by? The other day I actually sat and watched the clouds and the sky. As a whole, it makes a beautiful picture. The clear blue background and the different layers of clouds. It is much like watching people. It takes all their layers to make them whole. The pieces that we never see, like the stars and planets that the daylight hides. We all have those little things that we keep for ourselves or for those close enough to us to know them. 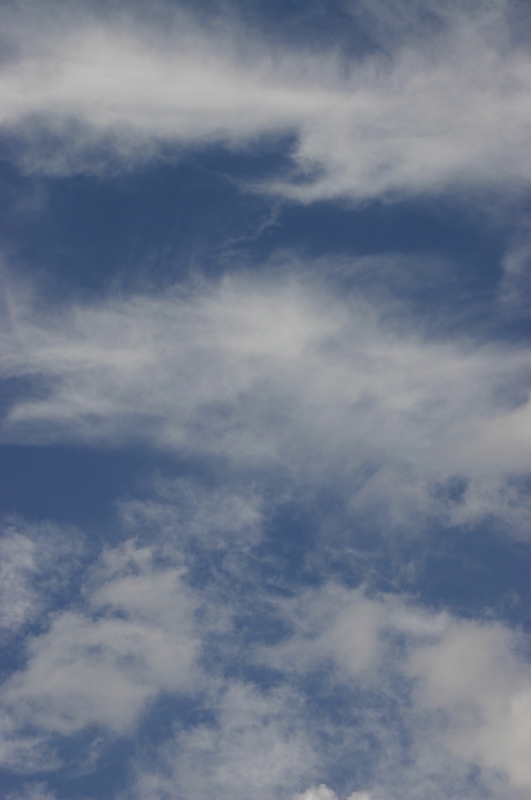 This kind of cloud, that kind, they are like the layers of our own person. Our clothing, our beliefs, our thoughts, actions, and all those little things that make us who we are. There is just something calming about hte smell of white sage and lavender burning, water rushing swiftly, birds singing, all the greenery and trees. A squirrel scampers nearby taunting. 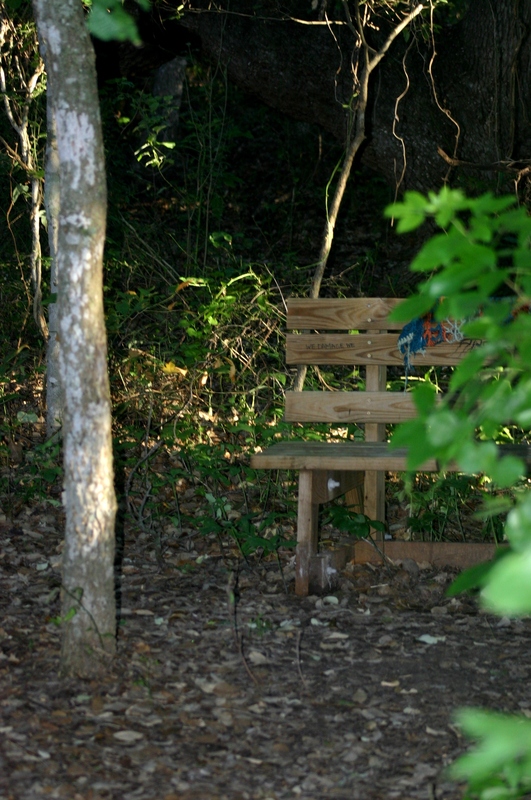 I sit on a woven fabric in front of a wodden bench that someone has left in a small clearing. For meditating maybe? I use the bench seat as a desk as I write the old fashion way: paper and pencil. A white candle burns in a metal plate filled with small river gravel, a jar of creak water stand vigilant on the bench. On occasion passersby speak in soft and muted tones but their energy is of calm and relaxed excitement of their weekend outing. The clearing is just off the hiking path beside the creek and most people never notice it or I am even there. I have meditated off and on asking for knowledge and guidance, asking for healing for others as well as myself. When I return to writing it is with vim and tenacity. It is with purpose and insight. I found this place a while back but am just returning, I sat here with my spool of jute, some wooden beads, some bambood reeds from a wind chime that I bought for mother, and I created an all natural wind chime that sings a low melody that sings softly to your soul. As time passes and nature takes its course it will in time return to our beautiful earth. As I write, I open up the golden thread that connects the universe. I allow the energy to fill my heart, my mind and my soul with life stories, with thoughts and love. I let the creator put my words into thoughts for the love and help of others. It is now time to put away my things, and head for the water of the creek. Letting my feet dip into the cool rushing water.